Likes: Refreshing, absorbs into the skin quickly, does brighten the skin! Gripes: Could be a little more moisturizing, lofty whitening claims not really true! 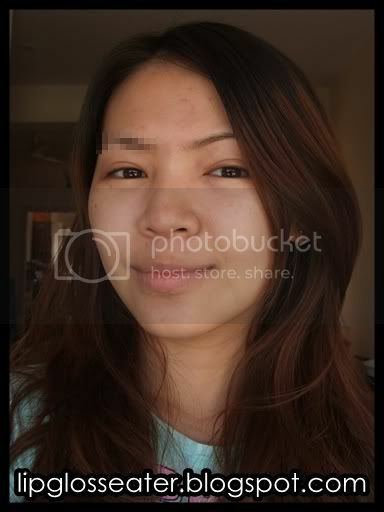 Repurchase: Yes, but not before trying out other masks!! Aqua / Water, Butylene Glycol, Glycerin, Ascorbyl Glucoside, Citrus Limonum / Lemon Fruit Extract, Morus Bombycus / Morus Bombycus Root Extract, Scutellaria Baicalensis / Scutellaria Baicalensis Root Extract, Nelumbo Nucifera / Nelumbium Speciosum Flower Extract, Citric Acid, PEG-60 Hydrogenated Castor Oil, Sodium Citrate, Tetrasodium EDTA, Xanthan Gum, Imidazolidnyl Urea, Methylparaben, Parfum / Fragrance, Benzyl Salicylate, Linalool, Limonene. 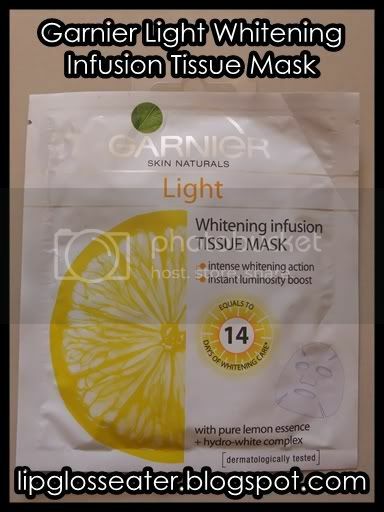 Garnier Light introduces the upgraded Whitening Infusion Tissue Mask. Now, containing as much product as 14 days of whitening care*, its intense whitening action helps instantly boost skin's luminosity, makes dark spots less visible, skin is fairer and more transparent. 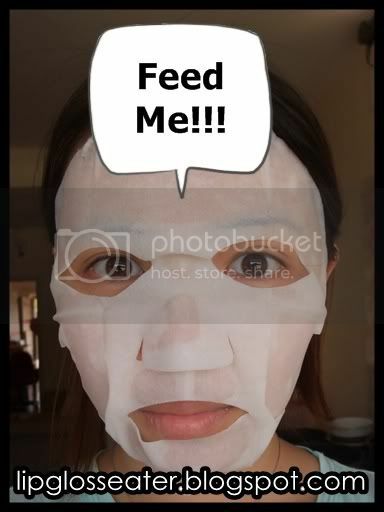 Leave the mask to diffuse its benefits onto your skin for 10-15 minutes, and enjoy a true moment of well being that makes your skin feel rested, fairer, and glowing with health. 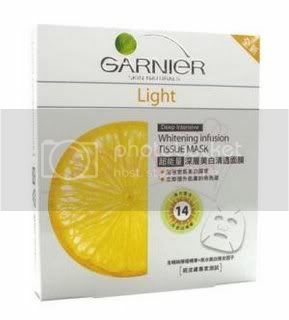 This mask is priced at RM8.90 each, and should be available at most Watsons / Guardian outlets! yay! thanks for the review, I've been seeing them and wonder how they work!